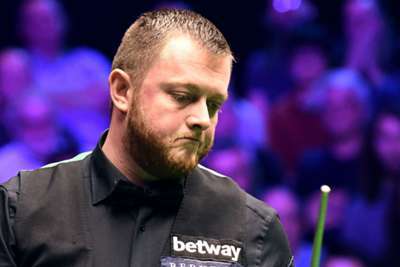 Mark Allen fought back to reach the Scottish Open final on Saturday, but candidly stated he does not deserve to be in contention in Glasgow after being hungover for much of the tournament. Allen rallied from 4-0 down to beat Daniel Wells 6-5 in Glasgow, setting up a showdown with Shaun Murphy. Masters champion Allen, runner-up to Ronnie O'Sullivan at the UK Championship last week, could only muster a best break of 24 in a dismal opening four frames of the semi-final. Allen is surprised that he has been not been knocked out after getting into the festive spirit throughout the week and revealed that a couple of drinks during the interval helped him fight his way into the final. He told Eurosport: "I don't deserve to be in the final the way I've treated the tournament this week. "I had a couple of drinks at the interval and felt a bit better after it because I was really struggling out there. "Last night was the earliest I've been to bed and the least I've drunk any night [during the week]. I expected to feel good today but I felt terrible. "That's what I was expecting early in the week because when I came here, I said I was going to enjoy myself. "I've managed to scrape through a few matches. I was all over the place. I'm embarrassed to say I was hungover and stuff." Allen said he may hit the booze again on the eve of the final after showing the bottle to reach back-to-back deciders. "I could stay in tonight and go to bed early and feel horrendous tomorrow," he added. "I would deserve to feel that way for the disrespect I've showed to the tournament all week. So I may as well go out and have a good time."